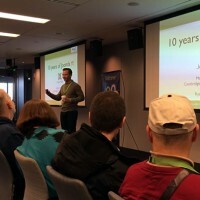 HeronGrace was an attendee at Joomla Day Boston 2015 on March 14 and 15, held at the Microsoft New England Research & Development Center at M.I.T. It was a great conference celebrating ten years of Joomla as one of the world's most popular open-source content management systems. The 2020 Vision For a Wilder Britain project is an inspiring endeavor whose goal is — through a variety of multimedia projects — "to communicate the link between the restoration of the UK's natural systems and our own well being". The project brings together 20 or the UK's top outdoor photographers together with leading scientists, writers, film makers, sound engineers and designers to create the most ambitious photography-based communication ever staged in Britain. 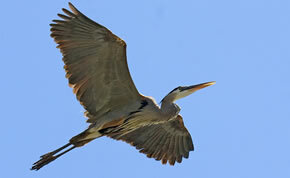 There are a bunch of great CiviCRM events in the US coming up in early March to be aware of. If you feel like taking a break from your daily routine and taking a short trip, what better way to get away and improve your CiviCRM skills than by attending a training in Chicago or Washington D.C.? Note also that the CiviCRM community convention, CiviCON is happening in Chicago as well as DrupalCon, immediately on the heels of the CiviCRM trainings. On November 17th, 2010, we gave a presentation on how streamlining your fundraising using Internet tools can help you save time and money. It was pretty enlightening to find out how many nonprofit organizations in the area are still using outdated methods like Microsoft® Excel® spreadsheets to manage their list of donors, snail mail for solicitations, and physical checks for contributions or registration payments. Lexington, MA — HeronGrace principals Linda Mack and Kimo Lee attended a recent presentation held on risk management given by Jeffrey J. Fox of TDBank on behalf of Nonprofit.Net of Lexington, MA. Beginning with the basic liability coverage that all nonprofits should have to protect their board members and the entity itself from legal actions — including "D & O", or Directors & Officers coverage — Mr. Fox covered a massive amount of information about types of coverage available and situations in which that coverage would be important. Framingham, MA — HeronGrace Nonprofit Solutions was an exhibitor at Massachusetts Nonprofit Network's recent fall conference and expo held at the Framingham, MA Sheraton on September 27th.